Editor’s note: Every year about this time we like to post something light-hearted in honor of the holidays and to brighten the darkness of year’s end. This article was written by Hilary Atherton, a friend of the Rangers and a very funny writer. 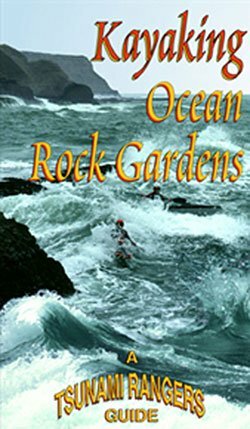 It’s a madcap tale of three women and their misadventures on the Sonoma coast with kayaks in extreme conditions. We hope you enjoy it! 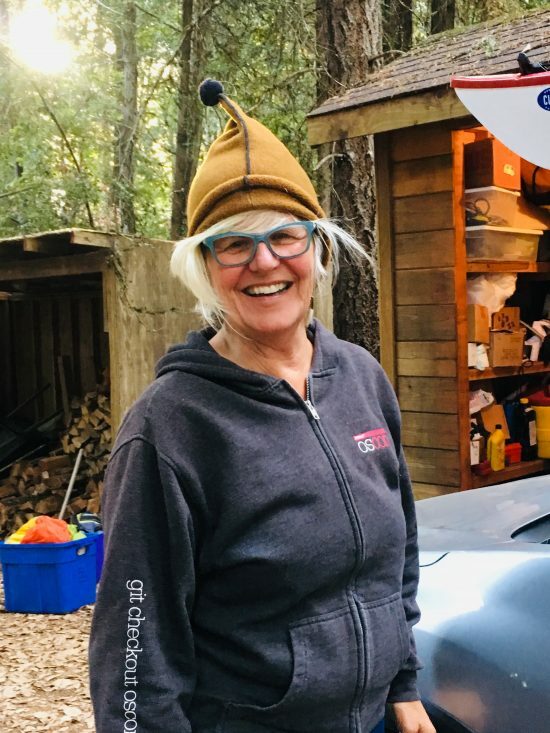 Caveat: this story contains politically incorrect humor and is in no way intended to promote or encourage irresponsible kayaking… Merry Christmas! Three Krazy Kayakers! Still laughing! Such a lovely day to kayak! Two seasoned souls and one adventurous, non-seasoned soul set out… the day was beautiful. Two owned kayaks, one needed to rent one. Then came the Kranky Kayak Lady, who rented me my kayak. She was insistent on a Serious Kayak Konversation; the two seasoned ones turned her down. The unseasoned one didn’t. Mistake #1. Okay, it wasn’t quite like this but you get the point! 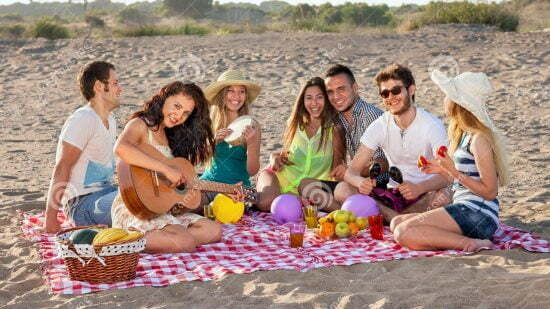 They set out… all happy, with a picnic on a gorgeous day! 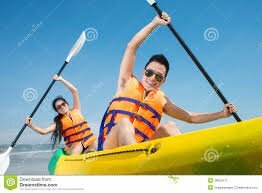 The two seasoned kayakers did not follow the in-service route, how could they, they did not attend the Serious Kayak Konversation. Mistake #2. Paddle-paddle, look, smile, laugh… oh, yes, we are hungry! Pull up for a nice little picnic. Drink wine, laugh some more… oh, but wait, the wind is coming up! Better get going, serious wind! One of the seasoned kayakers told me, “Gotta ramp it up and kayak against the wind!” My adrenaline kicks in; I am scared, but ready! We start to head out against the wind. Mistake #3. 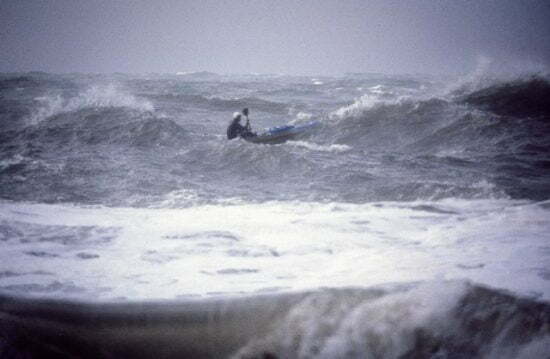 And then the wind came up… Steve Sinclair of Force 10 kayaking on a stormy day. Almost immediately two of us are forced back to shore: “TOO DANGEROUS!” Number Three kayaker gets caught in the wind, her kayak overturns and she ends up looking underwater at the bottom of her lovely kayak. Gotta abort this trip! Damn, a kayak filled with water is heavy, almost too heavy for three very strong ladies. Kayaks on the shore, now what? We are far away from where we put in. Aha, problem solved! 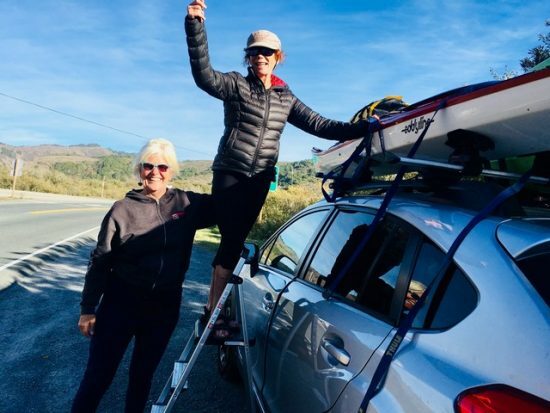 We will hitch-hike back to the Kranky Kayak Lady’s Kiosk and have her help us. So across a ranch we hike, one dripping wet from head to toe. We cross fences and gates and land on Highway 1. Mistake #4. Sopping wet Sara after a change. The one with the healing broken wrist and a floppy thumb tries to wave down cars yelling, “Help, help, help!” Finally someone stops. They are Russians, and hardly speak any English but head in the direction we need to go. How ironic, Russians on the Russian River! Geez, it has been fifty years since we hitch-hiked! We arrive at the Krazy Kayak Rental Lady’s kiosk and she is there… fuming. I assured her that I had her rental kayak, was within the two hour rental limit, and that no-one was hurt and that her kayak was just down, over there, well not exactly close… then came the bomber…”You did not leave your kayaks and walk across that rancher’s land did you?” Well, we did. Mistake #5. Hitch hiked with Russians on the Russian River from this spot to Jenner. Okay, so we needed to borrow her van to haul my kayak and the two seasoned souls got their Subaru to haul their own kayaks. We proceed to the Highway 1 turnout, stop, and a photographer asks if he can help. Great, an easy escape with two young men to help us! We were supposed to climb the fence to walk across the ranch to get our kayaks but the young men now helping us opened the gate… Mistake #6! Yeah, 2 kayaks retrieved! The other one went in the Kranky Kayak Rental Lady’s van. I told them to close the gate and it looked closed so off we went to bring back our kayaks. Mission almost accomplished. 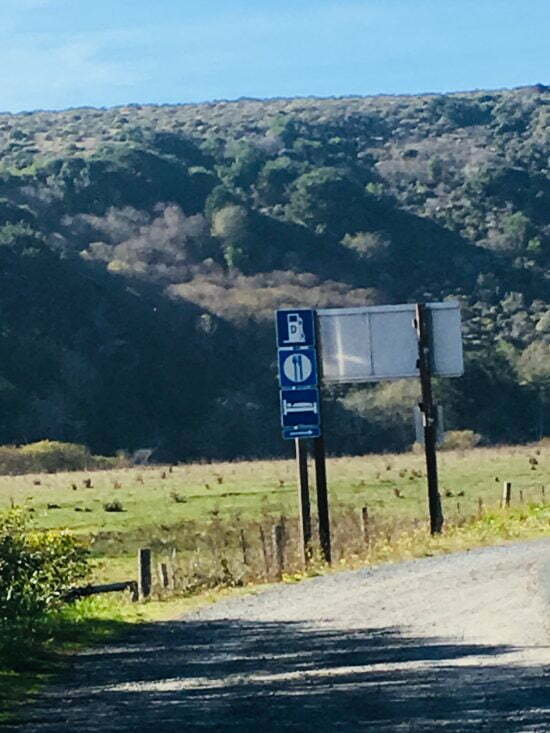 My kayak, the rented one, was hauled over ranch lands, through the now seriously blown down opened gate (that could let a whole herd of cows onto Highway 1) to the waiting kayak van, yeah! The other two kayakers made a second trek with the two young men to get their kayaks… and as they approached the ranch gate, one of them said, “Oh, f***, it’s the rancher!” Busted!!! Here they are… in a truck, his head is adorned with a big Texas Cowboy hat, lady and dog in tow, maybe a hunting rifle too. They were seething… I tried all my tactics, the locals I knew, that I was once married into an Italian ranching family… yikes… they are going to sue us, hate kayakers, what if the cows got out… on and on!!!! Mistake #7. After a stiff drink and feeling blessed! When we were apologizing over and over again, saying our “sorries” repeatedly, I thought to myself, “Well your damn broken down gate is a Portugee gate anyway!” This is an Italian joke where Italians call funky things Portuguese. The rancher’s wife was so mad that as she stormed off I asked the cowboy if his wife was Portuguese… she was! 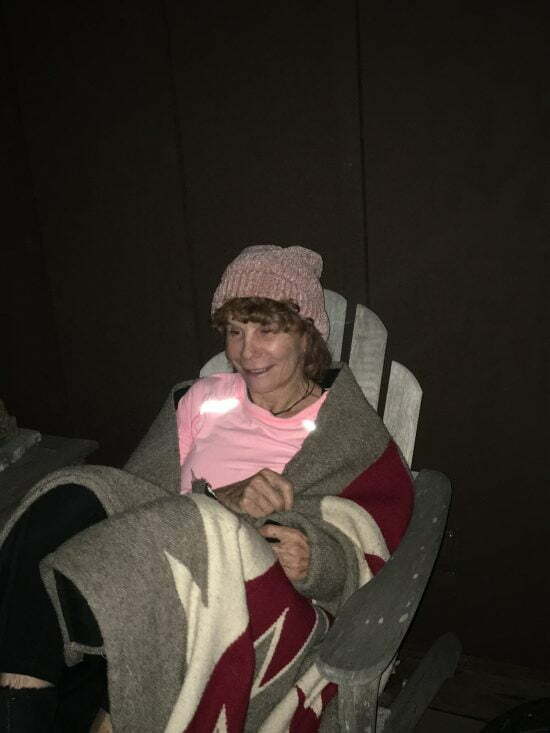 The day winds down… the two seasoned kayakers head home and I return my kayak to the Kranky Kayak Rental Lady and do the utmost in therapy to calm her down because now the ranchers are threatening to sue her!!! 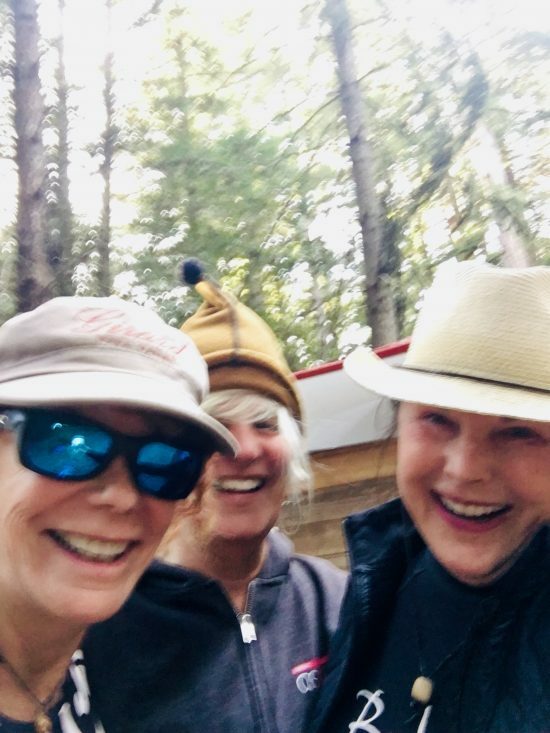 The three of us Krazy Kayakers rendezvous, have a stiff drink and I announce, “I love kayaking but I want a mini motor for when it gets too windy!” A story (true) … Hilary, Susan, Sara… all in the senior prime of their lives and adventurous as hell! 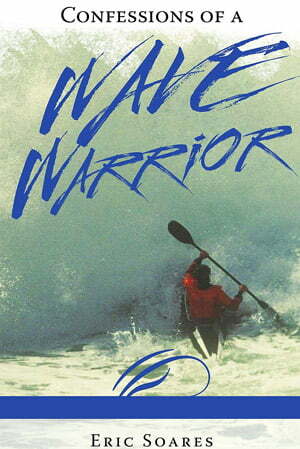 Lessons learned: what I/perhaps “we” learned… #1 Listen to the area kayak authority, even if you do not like them. #2 Do not let wine, a picnic, and a sunny day ruin one’s sense of safety. #3 Never underestimate nature. #4 Senior hitch-hiking is not cool. #5 Trespassing is a disorderly offense. #6 Always close gates. 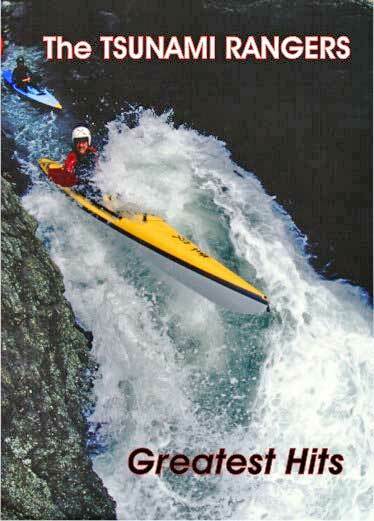 #7 Remember kayaking is a serious sport and can be dangerous but a damn lotta fun!!! Questions? Comments? Add your thoughts by clicking and commenting below. Funny story Hill, when is your next kayaking adventure? Yes, those pesky gates! Probably one of the worst possible things you can do in rural America especially in ranching territory is to not close the gates. A death penalty offense!!! Thanks, Hil, for writing your adventure up for our year’s end post. Funny as hell and instructive too. Keep adventuring! If fun was the goal sounds like you met it. Next time come float in Sausalito and I’ll watch! You have written up your hysterical adventure in a very funny way! Thanks for sharing it! The stiff drink sounds good. What an amazing and unforgettable adventure. Lots of lessons learned throughout!!!! It’s a grand tale and funny in hindsight!